June 15, 2018- The Port Angeles Lefties exploded for 15 hits in a 10-4 victory over the Victoria HarbourCats Friday night in the opening game of the Battle for the Strait of Juan de Fuca, behind two home runs and five RBI from Matt Christian at Wilson’s Group Stadium at Royal Athletic Park. The two West Coast League North division rivals, whose home ballparks are separated by a mere 17 miles across the Strait of Juan de Fuca, entered tonights game just .5 of a game within of each other in second and third place in the North division. Sam Brunnig of Embry-Riddle University took the ball for Manager Brian McRae’s crew, who had just returned earlier Friday morning from a overnight road trip in Kelowna. In his last start, the Embry-Riddle product pitched four innings of no-hit baseball with three strikeouts in a 6-3 HarbourCat victory over Yakima Valley back on June 5, but he failed to get into that same rhythm tonight. In the top half of the second, Brunnig loaded the bases by giving up two walks and a single to start the inning, and then allowed a RBI single to Lefties catcher Evan Pace to make the score 2-0 for the visitors. After managing to collect the first out, Brunnig would go on to hit the next batter to load the bases for the second time in the inning and set the stage for the Lefties slugging outfielder. Christian would come up to the plate to start his dominate night by smacking his first home run of the night, and first grand slam of the season, over left field fence to increase the Lefties lead to 6-0. That was all McRae needed to see, as he pulled the right hander for reliever Jacob Potter after just 1 1/3 innings. Brunnig finished the night with five hits, three walks, and six earned runs given up in less that two innings pitched in his second start of the season. Coming back up to the plate for his third plate appearance in the fourth inning, Christian didn’t let a HarbourCat pitching change disrupt him from smashing a solo home run to almost the identical spot where his grand slam landed, well over the left-centre fence, in the second to make it a 7-0 lead. The Lefties would go on to plate two more runs in the inning to increase the blowout lead to nine. Trumbell, Connecticut native Avery Santos started the game for Port Angeles, and was able to hold a HarbourCat lineup that scored 18 runs in their last series in Kelowna to just three-hits, coupled with three strikeouts and only a single walk given up, for his first win of the season. It would take until the bottom of the seventh for Victoria to end the Lefties shutout bid with a sacrifice fly out from infielder Harrison Spohn, and a RBI groundout from Dustin Demeter in the eighth to make the blowout score look slightly better for the home team. Catcher Nicky Gibbs attempted to spark a rally in the bottom of the ninth for Victoria with a two-run home run to cut the Lefties lead to six, but Port Angeles would hang on to preserve their seventh victory of the season. 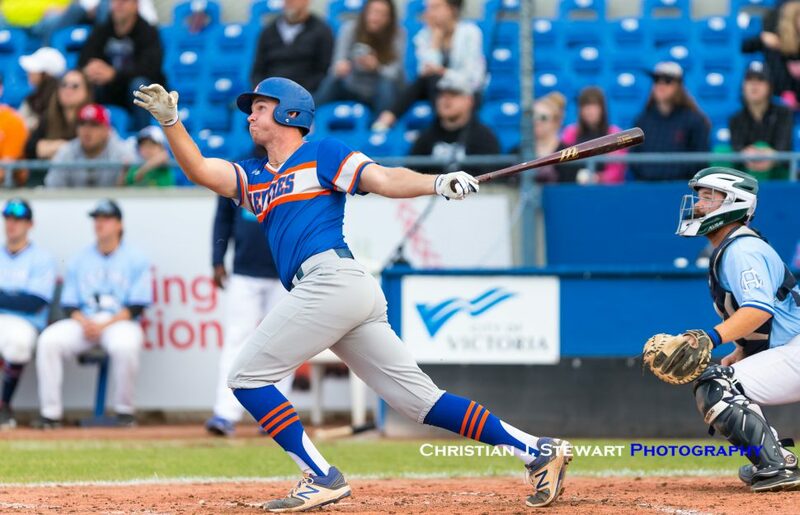 The victory for the Lefties vaulted then them into sole possession of second place in the WCL North, and snapped their four-game losing streak. 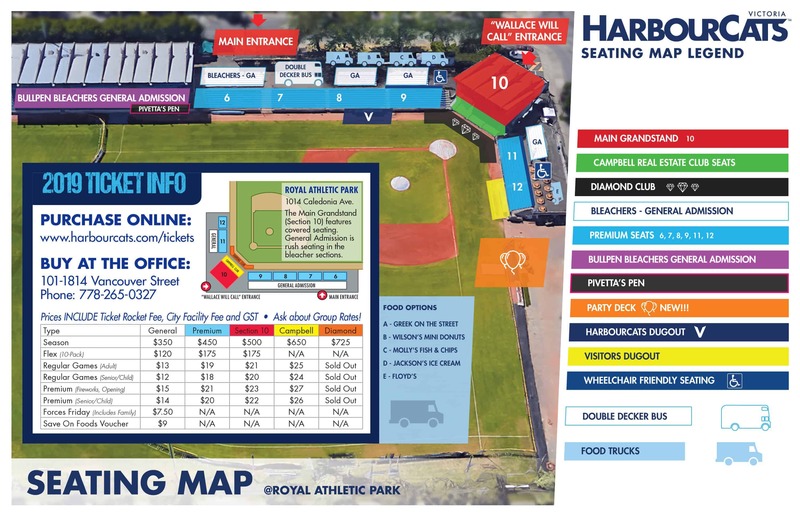 The HarbourCats drop back down to .500 with a record of 5-5. 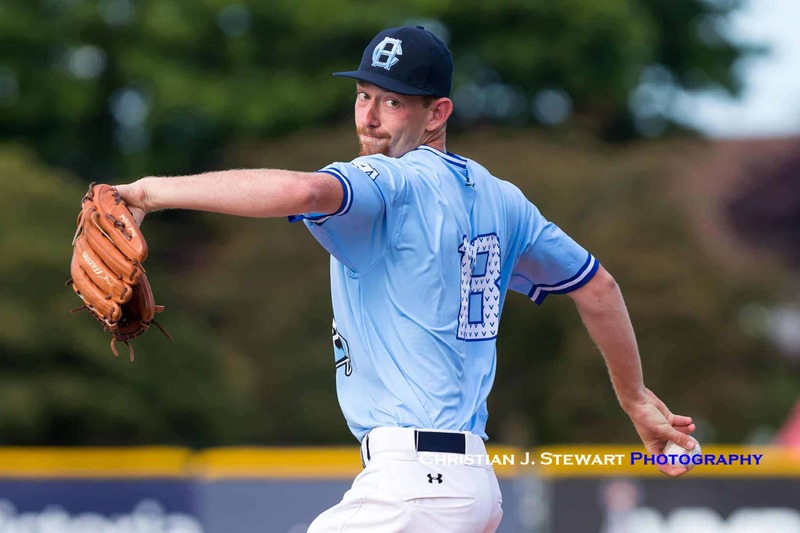 Including the two exhibition games in late May, this is the third consecutive time the Lefties have defeated the HarbourCats in 2018, after Victoria beat them five out of six times last regular season. 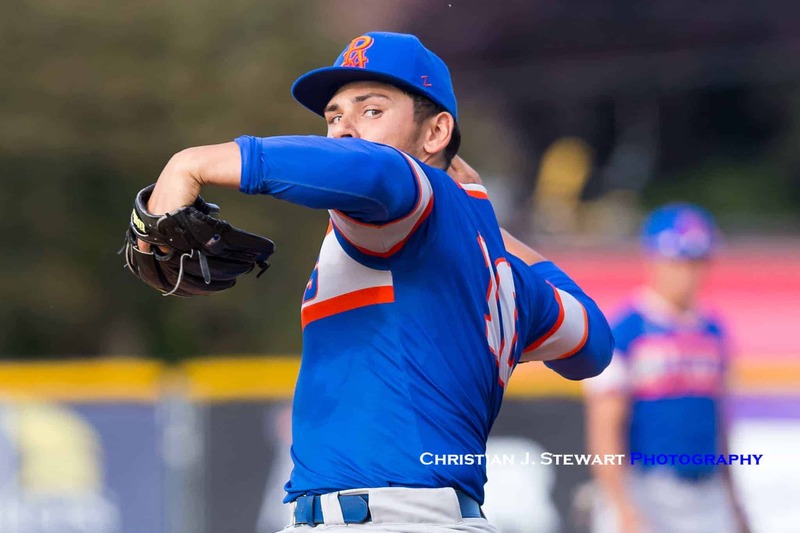 The Lefties and ‘Cats will renew hostilities in the second game of the Battle for Juan de Fuca series at 6:35 p.m. tomorrow night at Wilson’s Group Stadium at Royal Athletic Park, while the series concludes on Father’s Day Sunday with a 1:00 matinee. Both games are selling fast, so call the office Saturday between 9:00 am and 3:00 pm to book your seats!